1. I am happy _____! 2. _____ are my favorite summertime fruits and vegetables. 3. To help me _____. 4. _____ is the one thing I want to do this summer more than anything! 5. Just the other day I was saying _____. 6. _____ over and over again. Mine are up! First? Happy Weekend! Just click my name... you'll be magically transported to my FFs. Happy Friday everyone! Great Fill-ins! Thanks, Janet. Have a great weekend! Mine are up... after an 8 month break? Late entry for the Friday FIll-Ins. HAppy weekend to all! 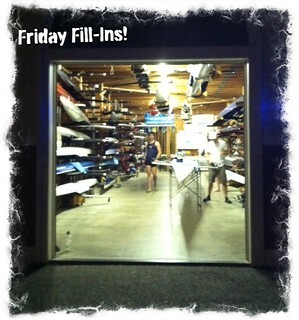 Friday Fill-Ins is now listed on my Memeaholics blog. Thank you for alerting me!